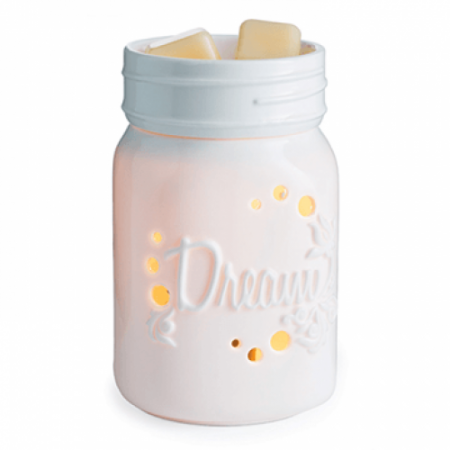 This warmer, styled after a Mason jar, reminds us all to "dream!" Slightly smaller than our regular Warmers. 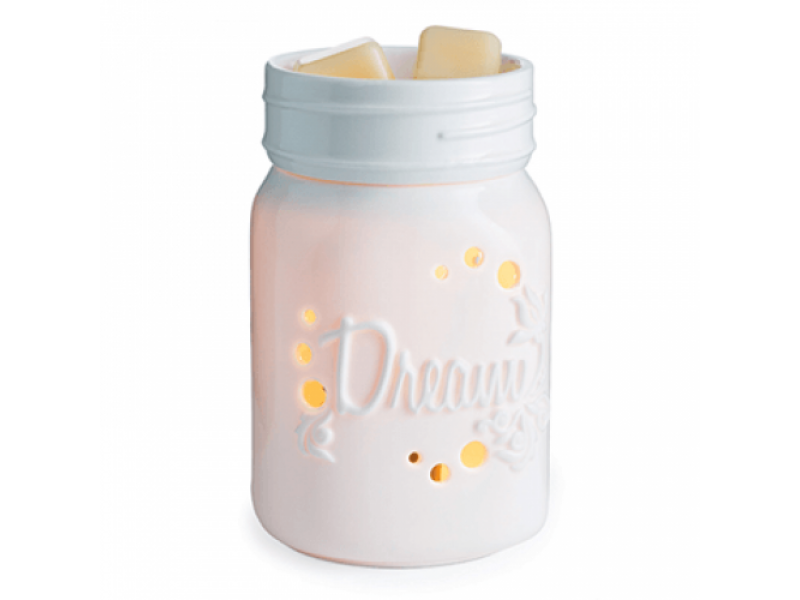 Includes warming bulb.